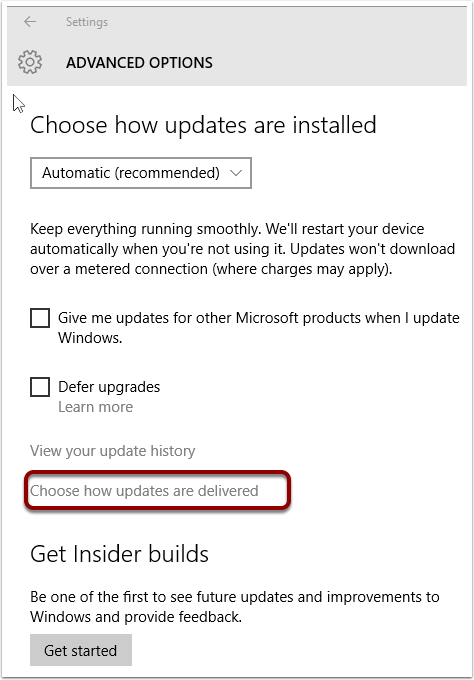 In the past each computer on your network downloaded its updates straight from the Microsoft Servers. The downside of this approach is that you had to download the update separately for each computer on your network, in this case 3 times. 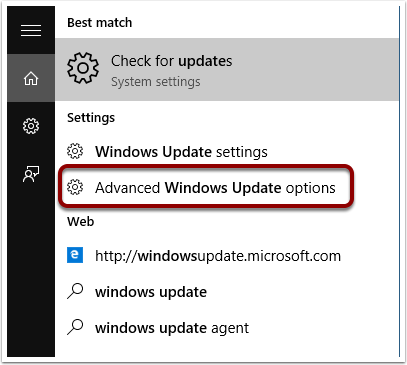 Microsoft has to provide each computer running windows with its own update. 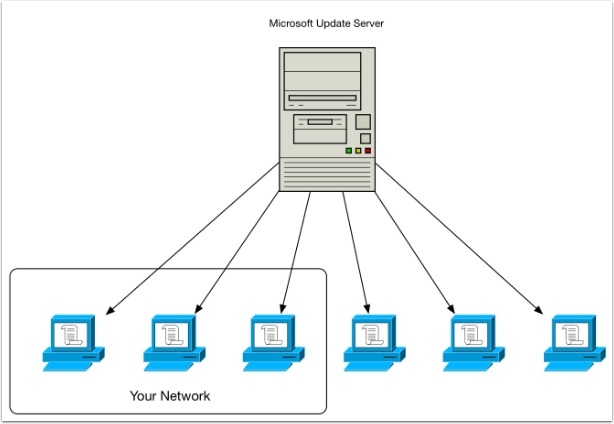 In this diagram Microsoft have to serve up the update 6 times for 6 computers. 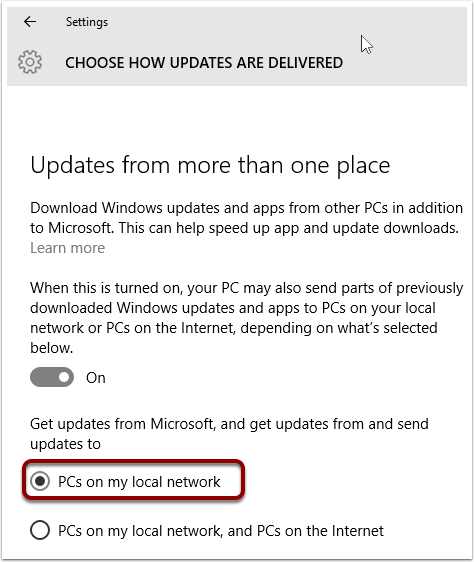 With Windows 10 Microsoft makes use of Peer-to-Peer networking, so all the computers on your network will download parts of the update and then share it amongst themselves until every computer has the update. So you only have to download the update once. But that’s good isn’t it? Well no, because the default setting means that you’re also uploading your updates to other computers on the internet. If you have superfast broadband with no upload limits this may not be a problem for you. But if your internet connection is slow or monthly bandwidth allowance you could find you’re using up your data allowance without even realising it. 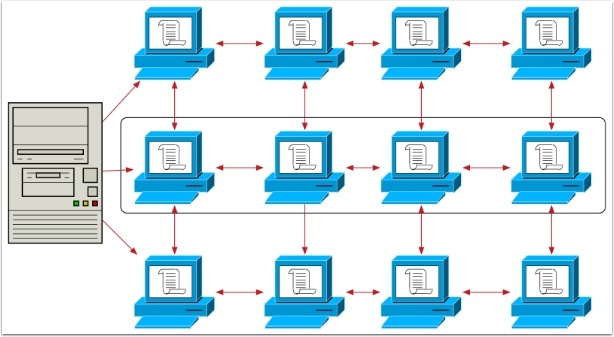 The diagram below shows how the Microsoft server only has to serve up the update 3 times, but 12 computers get the update by sharing it between themselves. Click on the close icon to leave settings.